There’s no accounting for taste, I suppose, but what about the functional elements of the car? As you might remember, the Cherokee has had problems with its transmission since its inception. 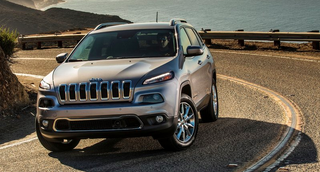 Manley vaguely told reporters, “We’ve made significant progress on Cherokee in terms of the transmission, and we are going to continue to look to make quality improvements wherever we can.” This is apparently taking the form of a “customer satisfaction campaign” that will reset faulty transmissions in older vehicles. So it sounds like the inside of the car is going to get a little better, while the outside of the car is disappointingly the same.